Should Pastors Run for Political Office? “The important thing is for every minister to dedicate himself to the Christian ideal of brotherhood, and be sure he is doing something positive to implement it. Similarly, in January, 2015, David Lane, the founding director of the American Renewal Project organized a movement to encourage 100,000 pastors, their friends, family members, and congregants to consider becoming more involved in their communities, and in particular, to consider running for political office. One of his primary goals was to equip 1,000 pastors to run for office in 2016– either for city council, school board, county commissioner, mayor, or state legislator. But, pastors, after learning about the process from attending the American Renewal Project’s Issachar Training events, began encouraging their congregants, friends, and family members to run for office. Naysayers may criticize Lane and others for attempting to “create a theocracy.” But it’s important to recognize that a theocracy, and whatever that supposedly means, isn’t even realistic. And, genuine Christians recognize that a “theocracy” is not even remotely close to the purpose of Christianity. What most may not realize and take for granted is that pastors– more than anyone else–are best equipped to meet and suggest solutions for societal problems. Why? Because they are already on the front lines of every societal problem– from beginning to end of life. Pastors are the ones teaching about healthy marriages, relationships, and family development– officiating marriages and blessing births. They are already supervising the oversight of educational initiatives, Christian schools, homeschool and community activities, acutely aware of children’s needs. They’re pro-life beyond protests– they adopt and are foster parents. Pastors are already counseling grieving, hurt, and broken people. They speak at funerals and spend time with prisoners– even on death row. They, better than anyone else, know firsthand the needs, struggles, and dreams of their congregants and neighbors– average Americans who struggle and celebrate every stage of life. Also taken for granted, and not well known, is the reality that pastors and their wives are involved in perhaps the most stressful and discouraging profession of all. The majority lead small churches, struggle financially, receive death threats, and in no way compare to the mega-churches advertised on television. According to nearly 20 years of research compiled by several ministry research organizations, more than 70 percent of pastors– more than doctors, lawyers, or politicians– regularly consider leaving their profession because of stress and burn out. And 35-40 percent of pastors do give up within five years. Instead, the goal is to restore America’s Judeo-Christian heritage, a heritage that never previously existed in any government in history. purposed to define and safeguard individual liberties and freedoms. And– a call for pastors to return to their historical roots. Indeed, the Revolutionary War would not have happened were it not for pastors teaching and encouraging their neighbors. The British recognized the most powerful force in the colonies was pastors, whom they called the Black Robe Regiment. 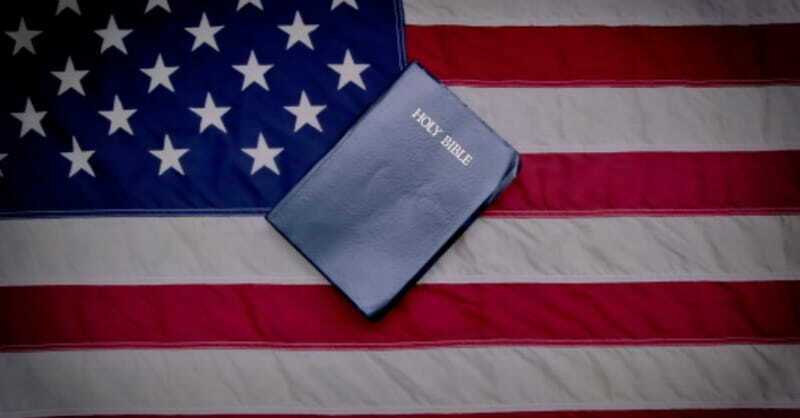 Famed political philosopher, Alexis de Tocqueville, also pointed out that Christianity, more than anything else, was instrumental in defining American exceptionalism. If a better alternative to the status quo exists for individuals, families, and societies, why not be open to it, even embrace it?